Richard Eugene Charland, 76, of Bluffton, SC, husband of Barbara Bean Charland, passed away Monday, April 8, 2019 at his home. Richard was born November 17, 1942 in Springfield, MA to the late Raymond Ernest Charland and Helen Gardiner Charland. He was employed by Kaman Aerospace and was a volunteer member of the Coventry Fire Department in CT. 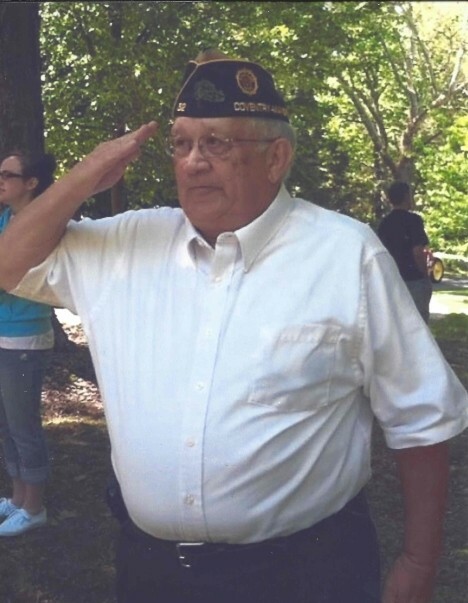 He was a US Air Force Veteran, a member of the American Legion, a member of St. Gregory the Great Catholic Church, and a 4th Degree Member of the Knights of Columbus. Richard was an avid hunter and fisherman, especially enjoying ice fishing. In addition to his wife, Richard is survived by his sons, Michael R. Charland (Constance) of Stafford Springs, CT, Keith R. Charland (Karen) of Orlando, FL, and Todd R. Charland (Anne Marie) of Chaplin, CT; brother, Raymond G. Charland (Linda) of Enfield, CT; grandchildren, Jeremiah Charland, Brandy Charland, Amber Woods (Jake), Molly Charland, Bridget Charland, Nathan Charland, Charisma Charland, and Aidan Charland; and great-grandchildren, Conner Woods, Lorelei Corriveau, Cassie Woods, and Kimber Corriveau. A memorial service will be held at 10:30 am, Monday, April 15, 2019 at St. Gregory the Great Catholic Church, 31 Saint Gregory Dr, Bluffton with burial in Beaufort National Cemetery at 1:00 pm. Following burial the family will receive friends at their home from 3:00 pm until 5:00 pm. Services will be held in Coventry, CT at a later date. In lieu of flowers please consider donations to the Wounded Warrior Project in memory of Richard.